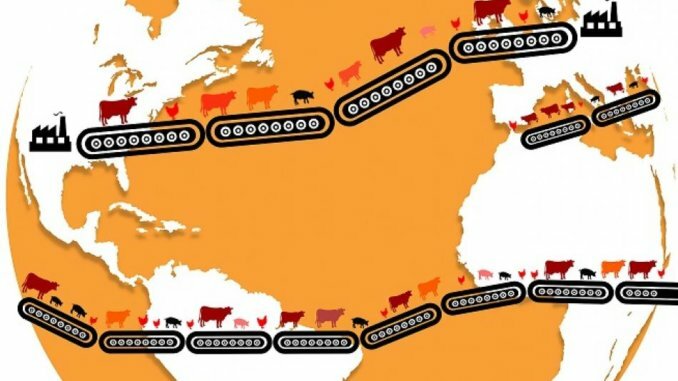 The Institute for Agriculture Trade and Policy (IATP), together with non-profit farming organisation GRAIN, have released a significant study which analyses emissions from 35 of the world’s biggest meat and dairy companies, and asks how they are addressing these effects to avoid climate catastrophe. “The short answer: These companies are pursuing growth strategies that will actually increase their emission,” states IATP, in the report Big Meat and Dairy are Heating up our Planet. 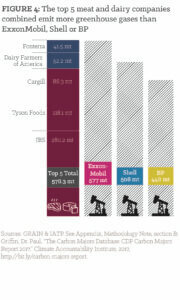 The research concluded that five of the key players in Big Meat; JBS, Tyson, Cargill, Dairy Farmers of America and Fonterra, together create more greenhouse emissions than fossil fuel providers ExxonMobil, Shell or BP. In addition, he emissions from the top 20 players in Big Meat and Dairy outweigh the emissions from entire countries such as Germany, the UK, Canada or Australia. Less than half of these companies have intentions for any reduction in emissions targets.